Emily & Chris are travelers after my own heart! 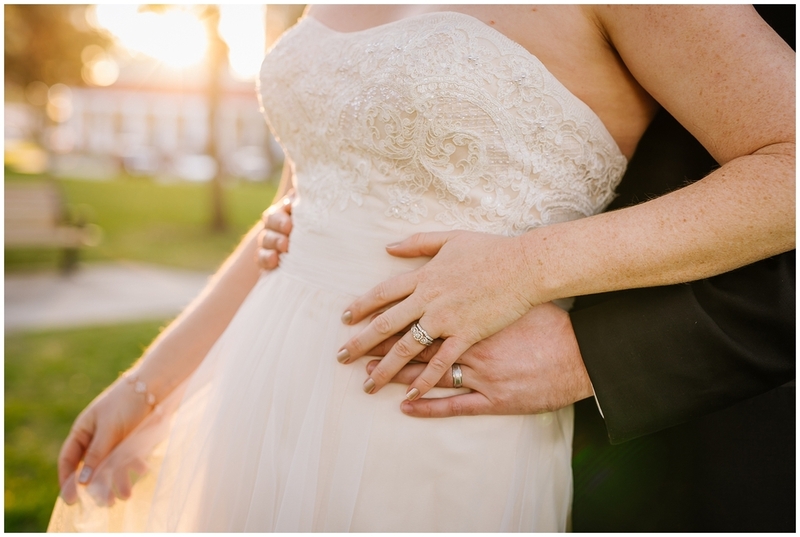 Their sweet and sentimental wedding day was absolutely wonderful to be a part of. 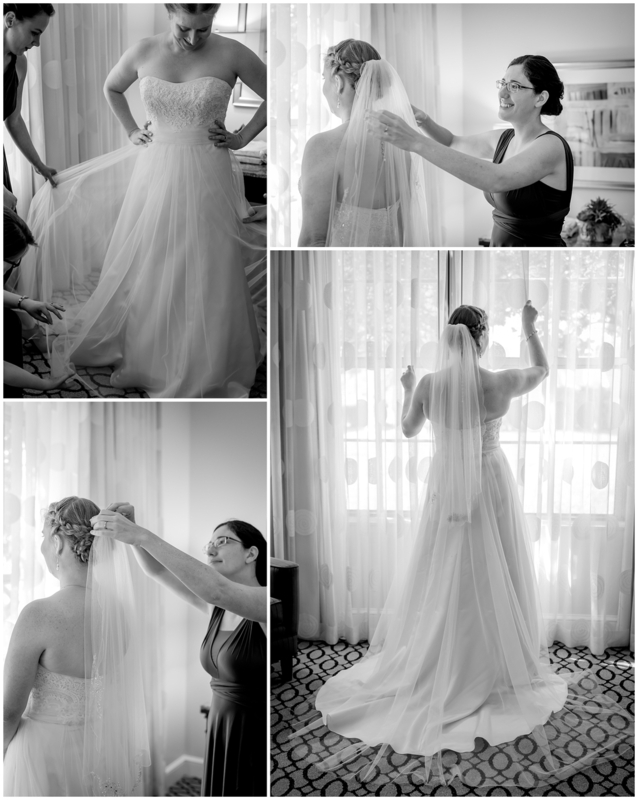 Emily and her girls got ready for the outdoor wedding ceremony at the stunning and historic Vinoy. 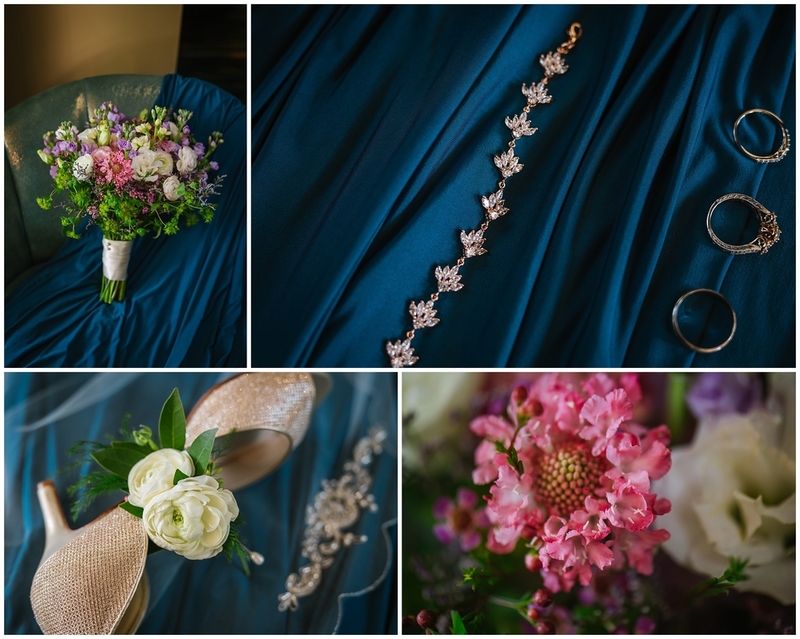 I had a field day playing with her beautiful rosey toned dress and endlessly sparkly rose gold jewelry! Setting her pretty little things against the bright teal of her bridesmaids dresses really made everything pop even more. When it was time to get her into the dress it was all smiles and goofiness, but I think when the veil went on it really became real for Emily! Especially since that meant she was only moments away forma first look with Chris. 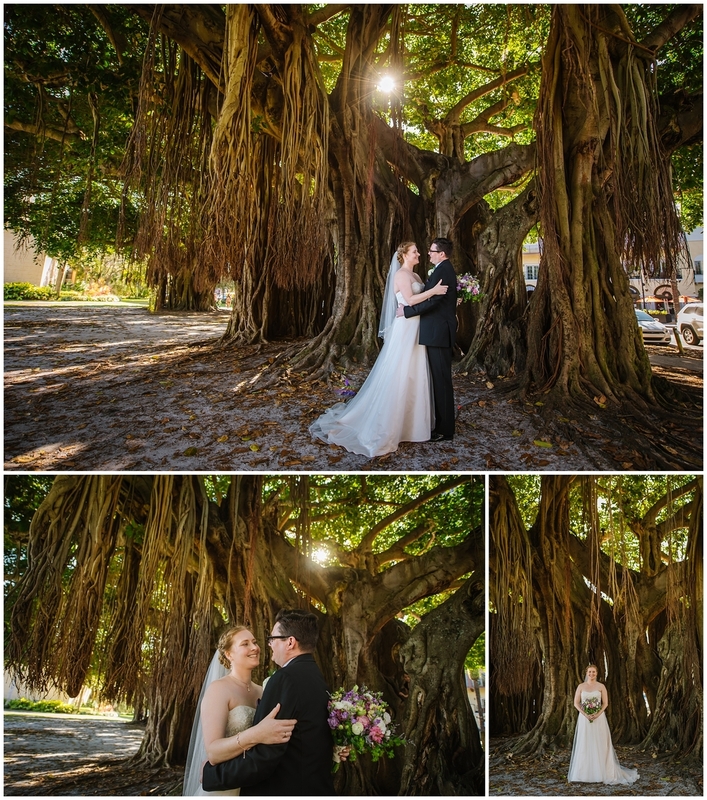 When I met Chris in the lobby he was GRINNING ear to ear and could not be more excited to see Emily in a private moment among the Banyan trees. We walked down together with Emily to be shortly on our heels. As I got him situated with eyes turned into the roots I couldn't help but choke up as he spoke so lovingly about how happy he was to be marrying his best friend. As Emily approached I was her face change from a grin to the verge of tears and back again. As Chris turned around and they embraced you could see the contented exhale of two people meant to be together. I love these moments! And I love being able to photograph MORE! We were able to take advantage of other scenic spots for portraits before it was time to go down the aisle. 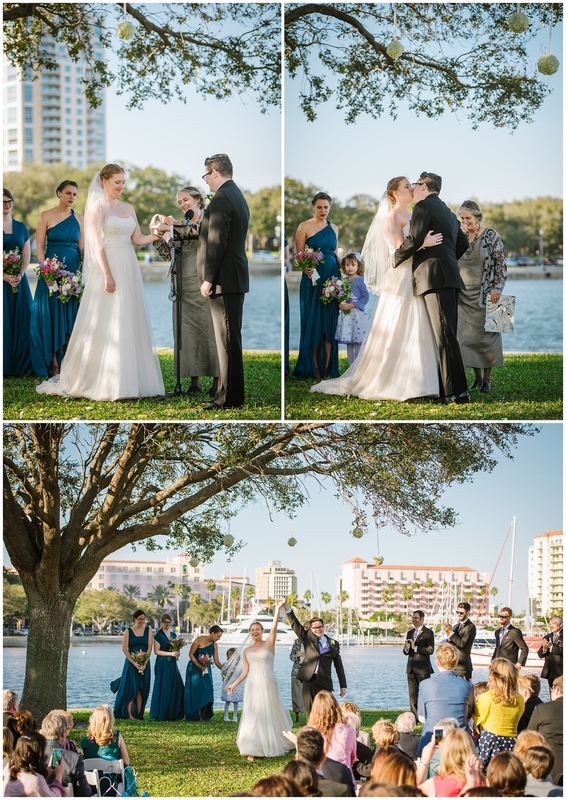 their ceremony was beautifully set up beneath a large oak tree right on the edge of the bay behind the St. Pete History museum. 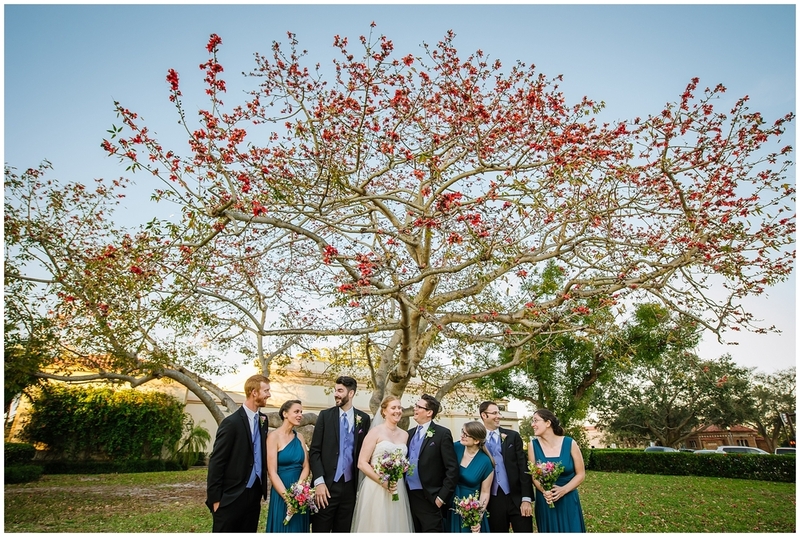 Simply balls of flowers adorned the aisle and were hung from the tree itself. Before the processional everyone was treated to a lovely original song written and performed by one of their dearest friends! I love personal touches like that. 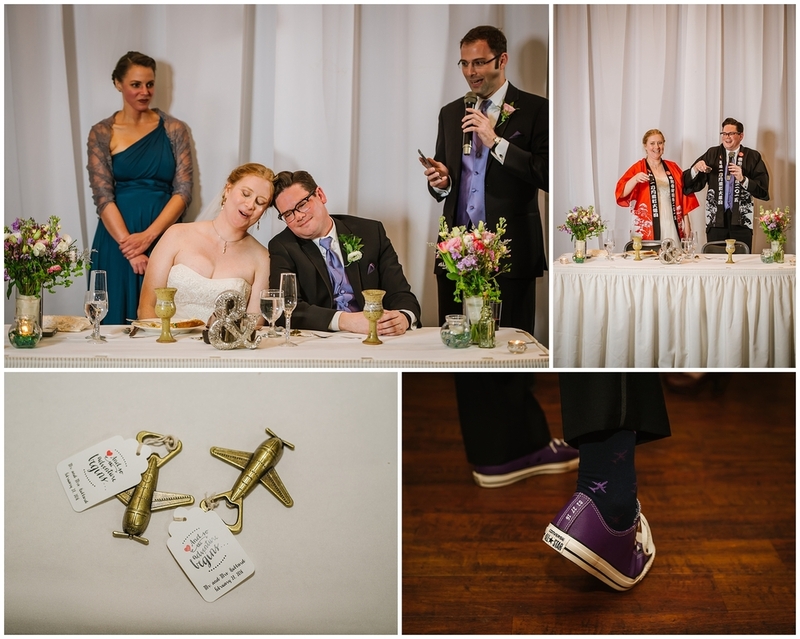 Their ceremony was then officiated by another dear friend, I love that too! She did a wonderful job and ended with a traditional hand wrapping ceremony before the big kiss. I just love how excited the new Mr. & Mrs. Hubbard were as then skipped down the aisle! After some fun in the gorgeous and crispy glow of the sunset it was time to party! I loved their travel theme! They had globes of all shapes and sizes as well as stacks of awesome National Geographic magazines and my glasses stamped coasters even made an appearance! And wow did their rum cake smell amazing! 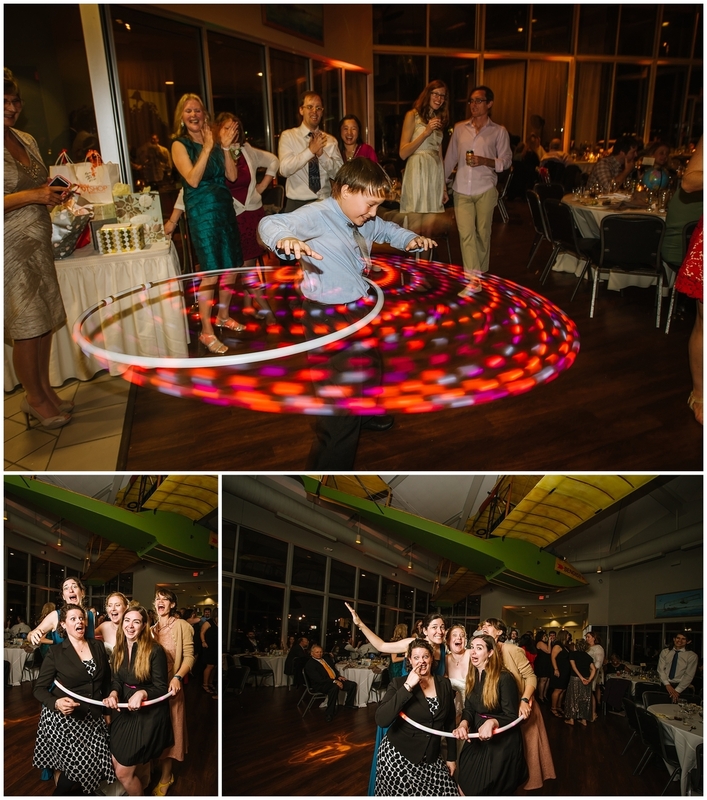 They laughed they danced, they even hoola hooped in celebration! But the grand finale was the paper airplane exit! So perfect! CONGRATULATIONS to Emily & Chris! Bon voyage on your wonderful journey as husband and wife!